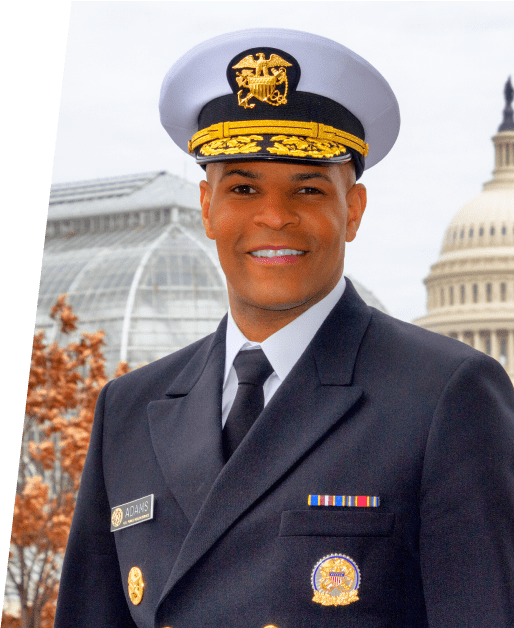 AUSTIN—Jerome M. Adams, M.D., the 20th Surgeon General of the United States, will give the opening keynote address at the 2018 Healthier Texas Summit, which is being held in Austin Oct. 25-26. The two-day summit, which is a collaboration between The University of Texas System and the non-profit organization IT’S TIME TEXAS, will convene health leaders, providers, clinicians, researchers, educators, organizations, advocates and community representatives from across the state who share the goal of empowering Texans to lead healthier lives and build healthier communities. Dr. Adams will open the Healthier Texas Summit with a keynote address at 8:30 a.m. Thursday, Oct. 25. Dr. Karen DeSalvo, M.D., professor of population health at UT Austin Dell Medical School and former acting assistant secretary for health at the U.S. Department of Health and Human Services, will deliver a keynote address at 12:15 p.m. Friday, Oct. 26. As surgeon general, Adams oversees the operations of the U.S. Public Health Service Commissioned Corps, which has approximately 6,500 uniformed health officers who serve in nearly 600 locations around the world to promote, protect and advance the health and safety of the nation and the world. He was sworn into office on Sept. 5, 2017. Dr. Adams, a board-certified anesthesiologist, served as Indiana State Health Commissioner from 2014 to 2017 and has served in leadership positions at a number of professional organizations, including the American Medical Association, the Indiana State Medical Association and the Indiana Society of Anesthesiologists. He is the immediate past chair of the Professional Diversity Committee for the American Society of Anesthesiologists. While serving the U.S. Department of Health & Human Services (HHS) during the Obama Administration, Dr. DeSalvo oversaw 12 core public health offices and 10 regional health offices across the nation. Under her leadership, HHS set and met historic goals in payment reform, supported transformed models of care delivery (including in primary care), and changed the approach to information distribution in the health system. DeSalvo also served as the national coordinator for health information technology from 2014 to 2016, a role in which she was responsible for setting national strategy and policy on health IT and focused interoperability in the health setting. Prior to her national service, DeSalvo served as the Commissioner of Health for New Orleans, leading the public health efforts following Hurricane Katrina. Dr. DeSalvo joined the Dell Medical School in 2018. The theme of this year’s Summit, which is presented by Blue Cross and Blue Shield of Texas in partnership with the Texas Health Improvement Network, is Uniting to Transform Health in Texas. It will feature more than 40 breakout sessions, symposia and workshops across five tracks: Advancing Health Equity, Fostering Healthy Places, Transforming Health Systems, Powering Healthy Change, and Nurturing Community Health. Sessions will cover the most important issues impacting the health of Texans, including opioids, mental health, maternal and infant health, tobacco, workplace wellness, telemedicine and more. For more information and registration visit the Healthier Texas Summit website.